With the shift in roles and responsibilities between medical and commercial, organizational and systems silos have arisen. This separation has created knowledge gaps that prevent companies from accurately understanding and engaging healthcare stakeholders. Watch this 3 min. 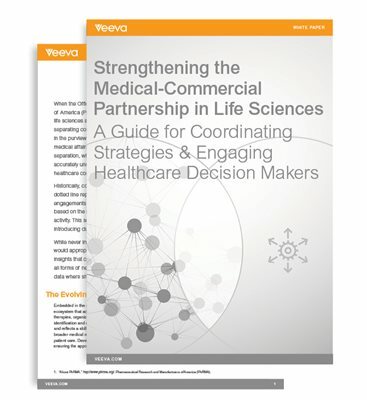 video to see how Veeva Medical CRM can drive deeper, more trusted relationships with stakeholders.